Whilst developing a good website is certainly important, the process of promoting and marketing your site (although often overlooked) is absolutely critical . You may have a great website, but it will be of little or no value to you if your potential customers are unable to find it. Clearly it is important that Web Surfers (your potential customers) can actually look at your site. Just because it’s there, doesn’t mean that people will use, or even find it. Although a number of surfers will probably stumble across your site, it is clearly in your own (and your business’s) best interest to do whatever you can to raise awareness of your site and stimulate traffic . Search Engine Optimisation (also known as SEO or website optimisation) is the practice of making modifications to a website’s design, content, META tags and popularity so it will naturally rank higher in search results for a given set of keywords. Optimisation impacts your “organic results” or your “natural placement”. Optimisation is not a one-time effort, but rather an ongoing, iterative process that involves modifying your website, increasing popularity, and submitting your site to directories and possibly search engines. The objective is first, to be included in these databases and indexes, and second, to rank higher than your competition in the results. SEO is based on the fact that search engines rely on well-defined methodologies, formulas, rules and relationships to rank Web sites. Unfortunately, the optimisation process is complicated by the fact that the rules and relationships vary from search engine to search engine, and change often. Optimised page text. Every page should be optimized for a few key search phrases. These are phrases that people actually use when searching for information related to that page. Crawler-friendly navigation. Make sure a crawler can easily navigate your entire site. This is often accomplished by providing a secondary text-link navigation scheme. In-bound links from important sites. Links to your website from important sites (such as the most popular directories) will boost your popularity ranking. Proper use of META tags. Write a unique and compelling Title for every web page. Include target phrases in each page’s Title, Description and Keywords META Tags. Search engine friendly website design. Excessive use of design features that cause problems for crawlers (such as flash, frames, and dynamic content) will negatively impact your search engine visibility. WebConsulting employ SEO techniques for all web site developments we undertake. We can also provide an analysis of your business’s existing web site and make recommendations on steps which you can take to improve your Search Engine Ranking. Whilst often considered to be a subset of Search Engine Marketing (SEM), the term Search Engine Optimisation (SEO) describes the process of improving the visibility of a web site on Search Engines. Why has Optimisation become so difficult ? Search engine optimisation has become much more difficult in recent years. It is no longer sufficient to add a few META tags, submit your website, and wait for top placement! Today, obtaining a top ranking with all of the major search sites is attained by only a very few companies, and maintaining a top ranking requires constant monitoring and rework. What was once thought of as “FREE”, now has a relatively high cost (either in terms of time and effort or in terms of fees paid to professionals). As the Web continues to grow, so do the number of sites competing for top ranking on the same few critical keywords for each industry. There are more optimisation professionals, using sophisticated tools to help companies achieve better positioning. New tools enable crawlers to access content that was previously hidden in dynamic content sites, thus increasing the number of total pages indexed. 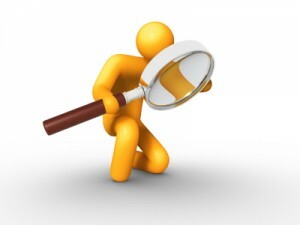 Search engines, directories and crawlers are becoming more sophisticated in how they index and categorise sites. Old tricks, which many people depended on, no longer work. For these reasons, most successful search engine marketing programs now involve both optimisation and paid advertising. 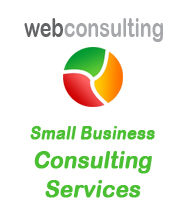 WebConsulting understand the relative strengths and weaknesses of SEO, and paid listings, and will evaluate all three to see what best meets our clients needs. Most often, a blending of all of these methods yields the best results. I was recommended by a friend after she got great results when on the advice of WebConsulting she diverted funds from Adwords into SEO. Andy has been a great help and our website is now highly ranked in a very competitive niche.